Auto Rossa International was established in 1976 by Cliff Peters. Cliff is Fiat and Alpha Romeo trained, having completed a 5 year apprenticeship with a local Fiat and Alpha Romeo dealer. Cliff also benefited from a visit to the Fiat factory in Turin. 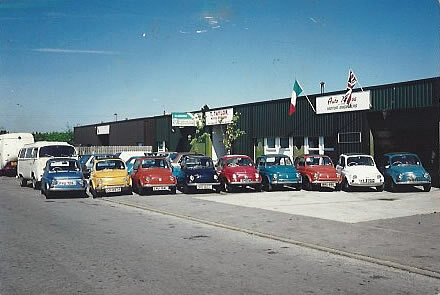 Cliff’s hands on experience working with Italian classic cars is second to none, with satisfied customers worldwide.